Q: When I use the Email function to send a PDF document, can I flatten annotations and form fields on that document without making any changes on the original document? 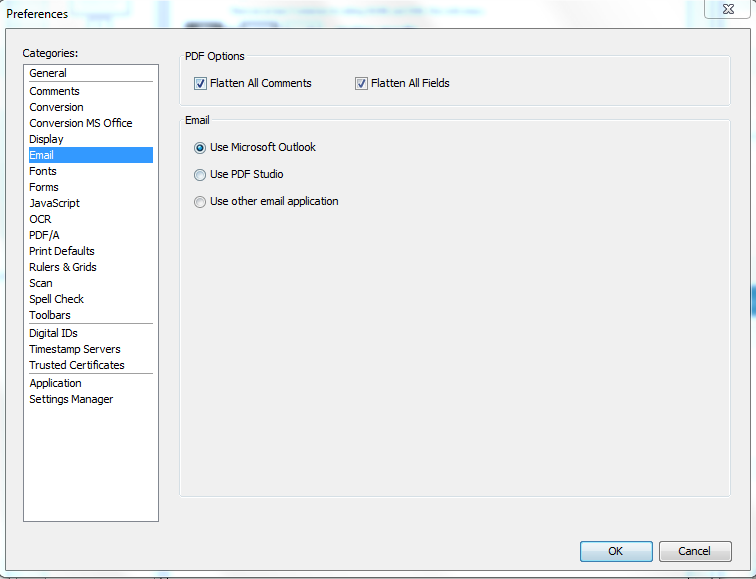 A: Starting in PDF Studio 12, you can automatically flatten annotations and form fields on the PDF you’re sending via email. This can be important when sending PDFs to users whose PDF viewers may not fully support all the features in PDFs and are not able to render annotations and form fields. When you try to send a PDF document next time, it will flatten all your annotations/form fields.